Challenges in Creating and Running Programs. Running an open source program does have its difficulties, according to the results of a survey conducted by The New Stack and The Linux Foundation (via the TODO Group), one respondent said, “At this point the ROI is negative. We view it as a long-term strategic investment.” When asked about their top three challenges, the top response — 39 percent, by companies with a program in place — was insufficient budget and program costs. Besides budgetary concerns, there don’t appear to be any other noteworthy challenges beyond creating awareness within the organization, which means that although organizations are pushing forward to achieve their mission, the efforts will take time. Of the 77 respondents planning a program, 70 percent expect to do so in the next year. With their initiatives about to begin, 54 percent said that “strategy: planning or knowing how to approach it” is the biggest challenge in establishing a program. Establishing open source policies and getting executive buy-in and support are the next two most frequently cited challenges in establishing a program. The need for organizations to address specific concerns about setting policy may be driving their own development of open source programs, as many of the respondents citing this as a challenge work at a company that already has policies governing the release and contribution of code. Companies that do not maintain their own open source projects were more likely to cite challenges about finding legal staff with open source expertise and finding the resources required to perform license compliance. Although companies without internally maintained OS projects may have different needs, they can still look forward to real ways to measure success. During the interview on The New Stack Makers, Andreas Grabner, DevOps activist, Dynatrace, referenced how to deploy voice-enabled monitoring with Amazon Web Services’ Alexa. Earlier this year, Red Hat launched the Operator Framework, a way to customize the APIs of Kubernetes for specific applications. With the Operator Framework — originally developed by CoreOS before the company was purchased by Red Hat earlier this year — users can spin up an application and have Kubernetes handle all the provisioning and scaling, without the user worrying about these things, or worrying about Kubernetes itself. Now we are starting to see more independent software vendors (ISVs) using the Operator Framework to package their own applications. In particular, database management system providers are using the technology to tackle one of the hardest issues of working with Kubernetes, that of managing stateful applications. Kubernetes has offered the Stateful Sets technology for this, but Operators makes this process of managing the backend databases much easier, we’ve heard. This week, Couchbase released its Couchbase Autonomous Operator for Kubernetes, which eases the process of managing its distributed database. And we recently spoke with Crunchy Data: they've been using Operators since the CoreOS days to manage the PostgreSQL database in Kubernetes deployments. Keep an eye out on The New Stack for a story on these, and other, deployments with the Operator Framework. The Julia programming language, originally designed for mathematical and scientific workloads, is gaining converts among a range of enterprise users, with rapid adoption taking place in China. It features a sophisticated type system, one that mixes the speed of statically-typed languages with the flexibility of dynamic languages. In this contributed piece, Scality’s Stefano Maffulli discusses the career path he took, as a community manager, in hopes of it being a stepping stone to more traditional ITR marketing jobs. The job is a mixture of IT, engineering and marketing skills and there is no clear path forward, and the role rarely has measurable outcomes or roadmaps. He offers some advice for those thinking about these matters today. The Ballerina programming language was born from a frustration of how to program an enterprise service bus (ESB), software designed to connect different enterprise applications. Ballerina is the first language to be built specifically to address the microservices era of API-driven communication across components. 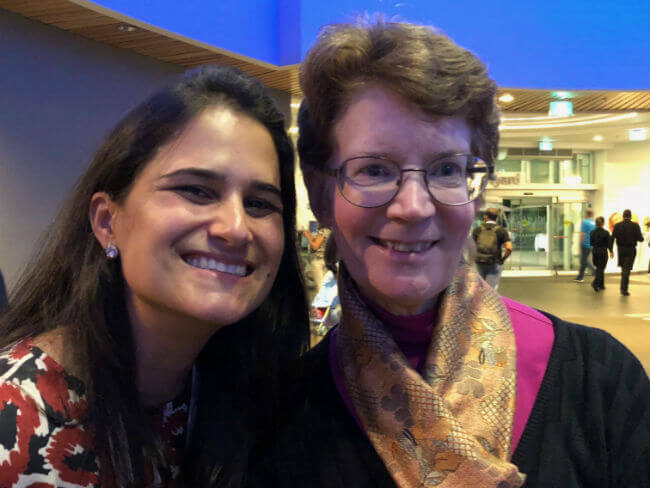 Meet Christine Peterson who coined the term “open source.” Tania Almeida was so excited to meet Christine that we just had to get a photo of the two of them together. 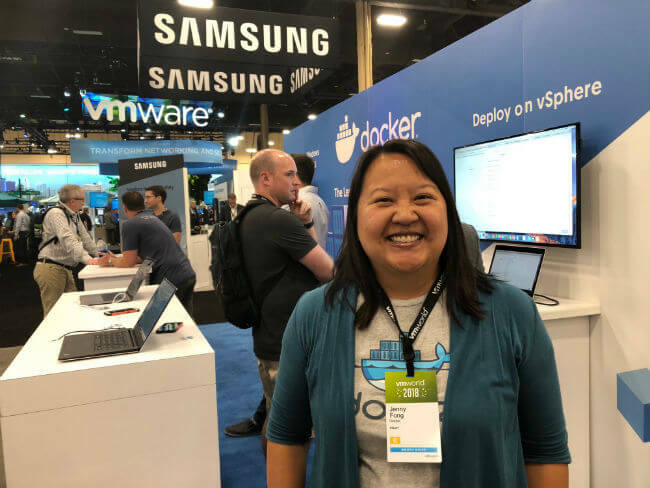 Docker’s Jenny Fong with all the focus on who’s stopping by the booth at VMworld. 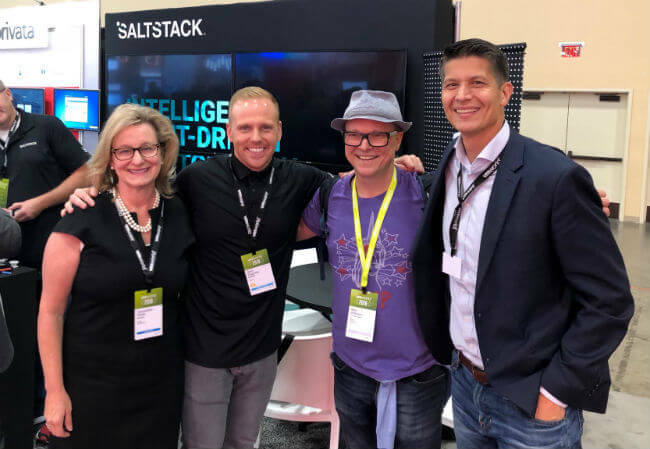 The Saltstack team was spreading the word of workload automation to the VMworld attendees. Giddyup —VMworld was in the spotlight this week with news of PKS, Wavefront and Amazon RDS on VMware Cloud Foundation. 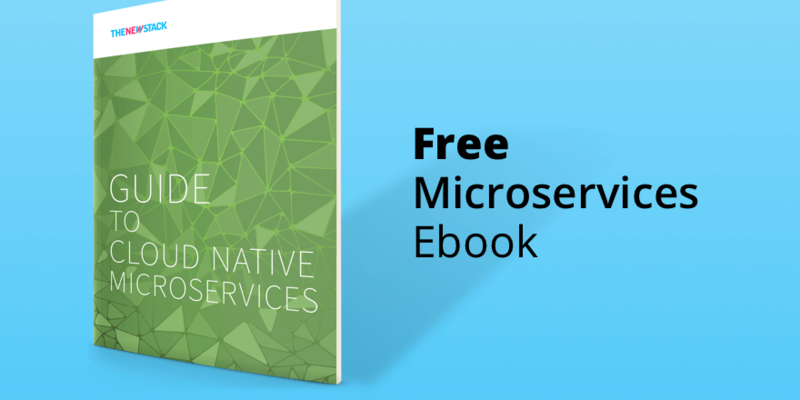 Predicting outcomes is not such a dream any more for DevOps teams. It’s an evolution that has roots in a time when IT issues were solved in a reactive manner. 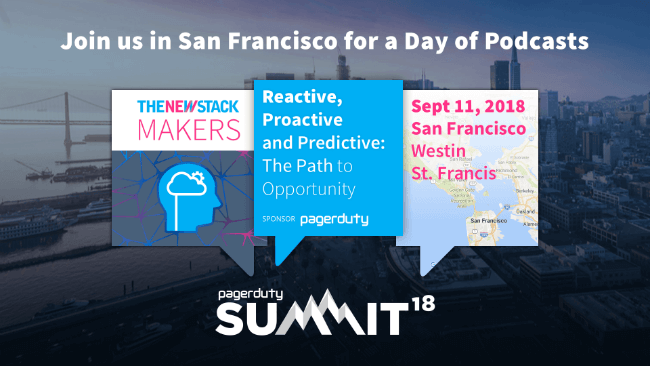 Join The New Stack at PagerDuty to discuss how a DevOps oriented approach has helped teams be more proactive. The next phase is better predictability with deeper automation capabilities, machine learning and AI. Summit registration only $350 for TNS readers — a 68% discount — with code SUMPROMO350. Register now!